Many people are diagnosed with different lung diseases or disorders, and asthma, bronchitis, and various types of cough are some of the most common conditions. Infections, allergies and smoking can cause a certain type of lung disease or disorder. In this article we give you the recipe for a popular traditional remedy that will help you treat any problem with your lungs, especially asthma, both bronchial and cardiac. In the past, our grandmothers have prepared this natural remedy to treat health conditions of this type, and those who have already tried it confirm that our grannies were right about is great healing power. Place it the pure maple syrup in a large skillet and preheat the pure maple syrup on a medium heat (If you are using brown sugar -- take a large skillet and preheat the brown sugar on a medium heat. Stir it constantly until it gets a nice golden color). Then, add the previously sliced onions, cook for a couple of minutes, and add the water. Boil the mixture on a medium heat until the water is reduced by a third. Let it cool for a while. For that time squeeze the lemons, and keep the juice aside. Add honey and lemon juice to the mixture, and stir well. 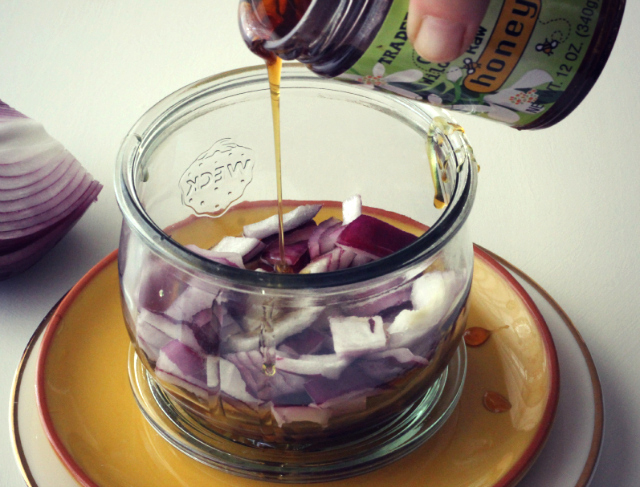 Let it overnight, and in the morning squeeze out the liquid and keep it in a glass bottle. Take a tablespoon before each meal. After you finish it, make another dosing. Repeat the treatment until your lungs get better. Children should take a teaspoon of the remedy before each meal.